This is a form of allergy treatment that is often known as part of anthistamines types of medication or more specifically it is a histamine receptor atagonist. It is known by the brand name, Aerius and in the generic form is called, desloratadine. This is intended to work on blocking the production by the body of histamine. It is a natural chemical that results in causing such conditions related to allergy symptoms like hives, runny nose, congestion, itchy and watery eyes. Desloratadine is used to relieve symptoms associated with year-round allergies and also seasonal ones. These symptoms may include such things as sneezing, runny nose, itchy nose, itching palate, coughing and itchy watery, red eyes. 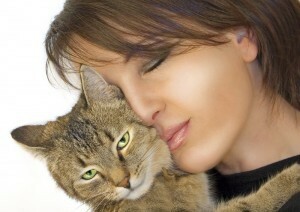 In addition is has been used to alleviate the problems related to allergic skin conditions. This is sometimes called chronic idiopathic urticaria that cause hives and skin itch. After being taken, Aerius most often takes approximately seventy-five minutes to work and can last for up to twenty-four hours. Though this is a medication that is specifically intended for help with such types of allergy conditions the doctor can or may recommend it for other problems that are not related to these symptoms. And one should consult one’s doctor on the many forms used for this medication. This medication should not be given to another person than the one for whom it is prescribed. One should have that person check with their doctor on its use since some may not respond to it as needed. So only take it as directed and do not use other than prescribed. If one has a need to increase or alter the usage the person should check with his or her doctor before making a change. And if there are any questions regarding it usage or about the problem they should be directed to either the pharmacist or one’s health care provider. There should be no misunderstanding about the product before one actually uses it. Thus it is very important to read and understand all directions and instructions that are included. Essentially this is a medication that comes in both tablet and syrup form so the person will need to know the proper method for usage as it applies to the type that is prescribed. The doctor should be informed in the event a person suffers from one of the following conditions, kidney problems, liver problems, if a woman is pregnant or expects to become pregnant when taking the medication and those who are breast-feeding. If one has severed kidney problems then doctor may need to adjust the medication to allow for this problem. Likewise the person whose liver is not functioning correctly will also need to have the doctor be aware in case in changes are required in the dosage prescribed. This is not a medication that is to be taken by a expectant mother or one whose is nursing. And the value to children of taken Aerus has not been established, so it is not be given to any child under the age of twelve. 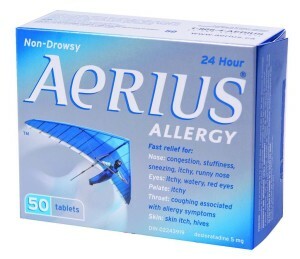 There are certain possible side effects one might experience from taking Aerius. Those could include things like dry mouth, nose or throat, fatigue a headaches. In addition one might also feel the possible side effects of difficulty with urination, restlessness, symptoms of liver problems or being unusually tired. If one notices any of those problems they could contact the doctor should they become very bothersome. However, if the one has problems with seizures or severe allergy reactions the person needs to contact the doctor immediately. And should one have any questions about its use or the any other aspects the medication they should be directed to ones health care provider. He or she will be able to give answer to any things one needs to know.